Cosey Homes is an experienced team of Chartered Surveyors in Leeds. Our skilled structural engineers and surveyors have worked with thousands of satisfied clients across the North of England, providing impartial advice, technical expertise and consistently exceptional customer service. Having opened our doors over 10 years ago, we are proud to be accredited by industry-leading organisations, including the Royal Institution of Chartered Surveyors (RICS). For more information about the services we provide, or if you would like to arrange a property survey, please send a message to our friendly team via out contact page, or call 0113 3188 300 to speak to us direct. Are you looking for professional property surveying services in Leeds? 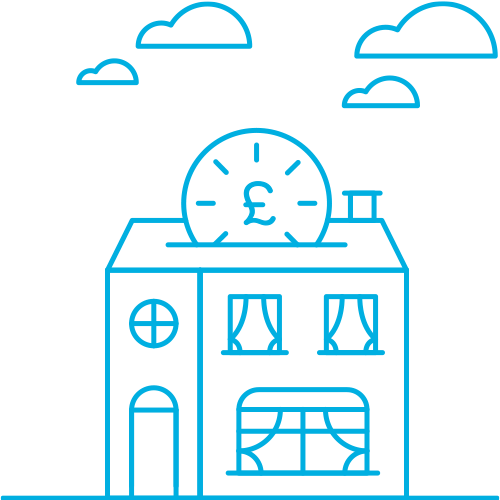 We understand that buying a new home or business premises is one of the biggest investments you’ll make in a lifetime, which is why we ensure that every one of our clients is equipped to make an informed decision about what they are spending their money on. Before you commit to buying your new property, contact our team at Cosey Homes for a survey, valuation or structural inspection to make sure you fully understand its condition. Cosey Homes is a leading property surveyor in Leeds and work all across the surrounding area, including Bradford, Harrogate and Wakefield. Between us, our team has a diverse range of experience in all kinds of property, and have the knowledge and qualifications to undertake commercial surveys and valuations as well as residential Building Surveys and RICS HomeBuyer Reports. We are happy to help in any environment, from industrial warehouses and commercial spaces to large homes and tower blocks. Our team works independently, and aren’t obliged to look after the interests of estate agents, mortgage providers or any other third party. This means that we are entirely focused on the needs of our clients, and offer a completely unbiased assessment of your property and circumstances. In return, you can feel assured that our advice is always in your best interests, and that our clear, easy-to-follow reports are giving you all the information you need. Keep in mind that many property issues aren’t immediately apparent, and it might not be possible to notice structural flaws or damp sources with an untrained eye. Our team are on hand to carry out a specialist investigation into your new home or workplace, and provide you with all of the facts you need before making a commitment. Even if you can’t see a cause for concern, it’s best to have a professional surveyor give you the all-clear, rather than risk your investment in an unsound building. 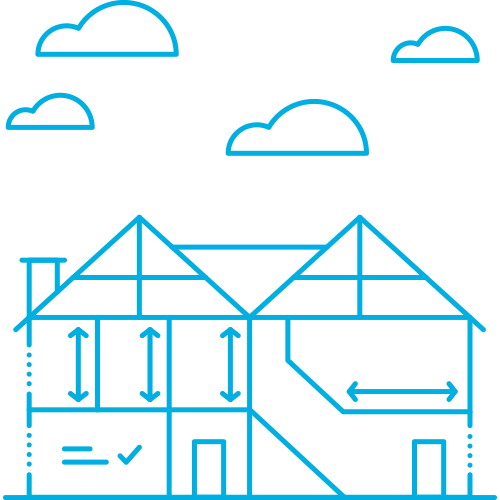 If we can provide you with any more information about our services, or if you are interested in commissioning a property survey by our team in Leeds, call us on 0113 3188 300, or fill out the form on our contact page we will respond as soon as possible. Do I need a Building Survey? It’s absolutely essential that every buyer commissions a property survey before agreeing to their purchase. Houses, apartments and commercial premises – old and new – can all suffer from hidden structural defects that can cost owners thousands to repair once they move in. Hiring a qualified surveyor to inspect the building before exchanging contracts with the vendor is the most reliable way to ensure any potential problems are spotted, allowing you to make an informed decision about how to proceed.While it’s important to carry out some kind of survey, keep in mind that a ‘Building Survey’ refers to a specific kind of investigation. The names of different property surveys can be confusingly similar if you haven’t come across them before, so feel free to contact us for advice about the best survey for your particular property. At Cosey Homes, we offer a number of surveys, all of which adhere to the guidelines set out by RICS. These include the RICS Condition Report, which provides a snapshot of a building’s condition, a RICS HomeBuyer Survey that offers reasonable detail about structural condition, and the full Building Survey, which is the most thorough investigation that we offer. What is the difference between a building and homebuyers survey? The main difference between these two reports is the level of detail involved in the investigation. Of the two, the Building Survey offers a greater depth, making it more suitable for older homes, listed properties and buildings made using unconventional techniques or materials. Can I use the survey to lower the asking price of a property? A seller is not obliged to lower the asking price of their home following a report, however some may be happy to re-negotiate to a fairer price if they are keen to sell quickly. Once you have the report from your surveyor, you should add up the total estimated costs for necessary repairs and maintenance, and use this as a guide for how much to reduce the price by. Stick to the facts discovered during the survey, and be prepared to walk away from the sale if the costs are over your budget and the vendor won’t budge. Do I need a survey on a new house? Many buyers seem to think that a brand-new (or almost brand-new) home won’t need to be surveyed, either because it’s unlikely for any defects to be present, or because any problems should be covered by the 10-year NHBC warranty. This warranty actually only covers the home if the original housebuilder is prepared to accept responsibility for their mistakes, and even new-builds can suffer from unexpected faults. Ultimately, buying any home is a significant investment, and the peace of mind achieved by commissioning a survey only costs a fraction of the price. Which survey is best for a listed building? 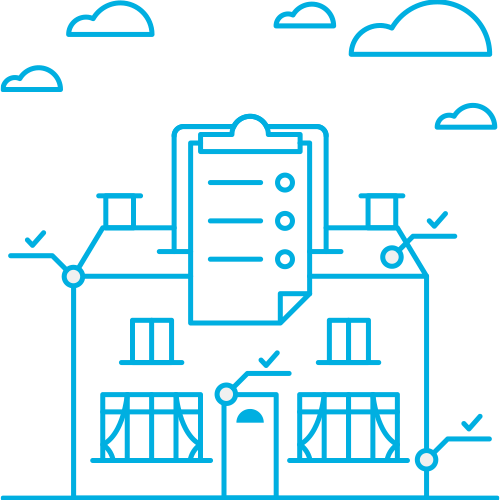 If you’re looking at purchasing a heritage home or a listed building, we would recommend a Building Survey. Old properties can often suffer from numerous unseen problems like subsidence, timber decay, roofing issues and damp, and commissioning a thorough investigation is the only way to ensure that you won’t be confronted with an unpleasant surprise once when you move in.